Yesterday was a tough, long day. Today I needed to relax and unwind. The best way I know of to let go of stress is to sit down at my spinning wheel. The longer I spend twisting wool into yarn, the better I feel. Something about transference of tension and I’m sure a mental health professional could explain exactly why this particular activity makes me feel so much better but I don’t care enough to listen. I just like to spin yarn when I’m tired. 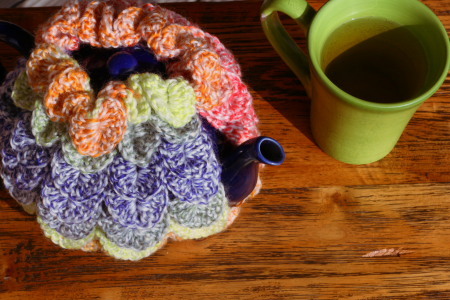 A day of relaxation handspinning starts with a pot of tea of course. After the third cup I didn’t even have a headache anymore. The drive back home yesterday was seven and a half hours through deer-infested country. I could have done it in less but I didn’t. I never do. When I’m out on those back roads I drive kind of slow. Why? Because it really is deer infested! For example the emptiest stretch of road I have to drive on is about 50 miles. For those 50 miles there are three ranch houses that people live in parts of the year. That’s it. Yesterday on that stretch I saw one other vehicle, a US Border Patrol truck, and 9 deer. I saw 9 live deer that is. There were plenty more dead on the sides of that road, hit by people who probably do not drive 15 miles an hour under the speed limit the whole way and blow their horn when going around blind turns. Call me paranoid (and plenty of people do) but running over deer is not the way I wanted to end my Christmas vacation. All of Texas is over run with deer (I have a personal theory that booming deer populations are a result of humans wiping out all the natural predators), heck we see them out at night on the roads in Austin. And if you’re paying attention, you’ll see dead deer lining the sides of every interstate. 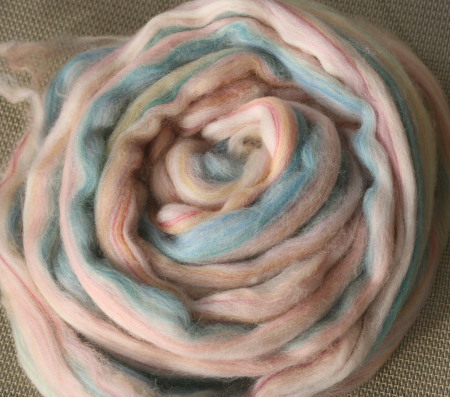 I’m spinning up this 100% wool blended roving from Lynn’s Texas Fibers in colorway Snap Drapgon. So yesterday I drove nice and slow and I didn’t murder any wildlife with my truck. No problem. The problem, and all the stress, comes from a certain Feline Overlord who objects to car travel. She objects quite strenuously. She expresses her objections by howling for the entire trip. Yes all seven and a half hours. I have no idea how long she can keep that racket up and I never want to find out. I just know that she can do it the whole way to mom’s house and the whole way back and there is nothing, absolutely nothing, that can make her stop. Here is Snap Dragon as a single. Its a bit thick-n-thin because I plan to turn into an art yarn. On average I’d say its a sport weight. Yes, its a rough trip thanks to Her Royal Catness. So today I did my laundry right away. Then, when I had a nice pile of clean clothes, I dumped them all on my bed and invited her to sleep and shed all over them. She did that. She is still doing that. She is even permitting Cowardly Boy Cat to join her in the sleeping and the shedding. Good. They fell right into my trap. I needed to a break from wretched cats and I needed to spin some yarn. Which I did. I spent a gloriously cat-free day on my sunny porch spinning yarn. And I feel much better. 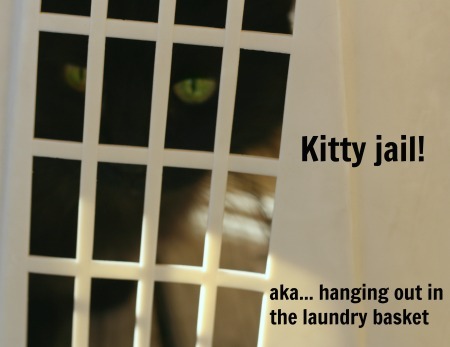 Later on this evening, when the fur balls wake up and demand supper, I go collect the laundry and re-wash it. My first “test” of the Snap Dragon plied and coiled around a dark 100% wool fine-spun single. 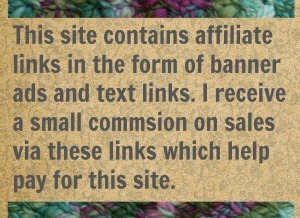 Yes, watching this yarn come up under my fingers did wonders for my frame of mind. Now that I’m sure its going to work, I’ll spin up more of the dark “core” yarn. Just don’t ask me what I’m going to make with a coiled art yarn. I figure that out later. For now I’m just spinning my tension away. 13 Comments on "Being Home and Making Yarn"
Cerenia is for motion sickness right? I did have a vet once tell me to giver her dramamine but I .. didn’t. I was worried about over-dosing her so I just never tired it. I’ll ask about Cerenia. Thanks! I never worry about what I am going to make with spun yarn. The process is what I enjoy. Me too. I’m sure my work would be better if I had an end project in mind and spun yarn specifically for that project. But for me that is just too organized. I like the spontaneity and I enjoy just seeing what I can make the fiber do. I have a de-stressing plan too! It involves selfish, selfish knitting ? Ooo! I went and checked out your link. Then I followed it back to your yarn source and THAT looks to be some very special stuff. Avalon Springs Farms sounds like a wonderful cottage business. Yes, oh yes. I definitely approve. Be selfish with that stuff.